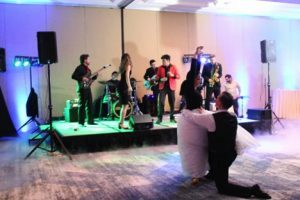 Entertainment Specialists kicked off the month of March with another fun filled wedding showcase at the Boston Marriott Long Wharf. 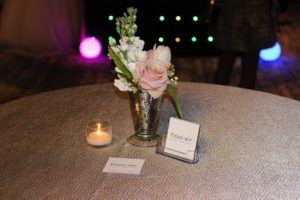 Entertainment Specialists kicked off the month of March with another fun filled wedding showcase at the Boston Marriott Long Wharf. 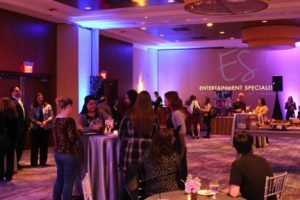 The showcase, held in the Great Ballroom on Wednesday, March 1st, put Entertainment Specialists’ services on display, featuring our talented DJ's and musical acts and fantastic vendors. DJ Ron Furr began the evening with an energetic mix to get the party started. Then, Sweet Tooth and the Sugar Babies took the stage to kick off the evening’s live performances. Good Will and Them Apples followed with some Jackson 5 and James Brown. The Sweetbeats closed out the live performances with a set that had our friends from the Boston Ballroom dancing on the clouds. Montilio's Baking Company had its decadent cakes on display and offered guests samples of the many different flavors they have to offer. Flou(-ə)r Specialty Floral Events displayed its unique floral arrangements in the form of delicate centerpieces placed on the tables throughout the room. And Lovewell had its beautiful jewelry on display and available for purchase. We also gave away some awesome prizes throughout the night. 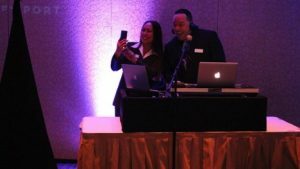 DJ Ron Furr and DJ Emelita emceed a dance contest featuring the brides-to-be and the winner took home vouchers for a free uplighting package. 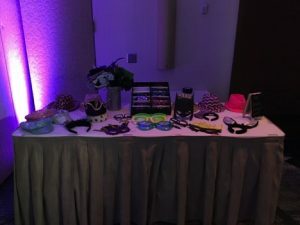 A picture taken in our photo booth was pulled from a hat and that winner won a free photo booth for their wedding. We even held an Instagram contest and the winner took home a two night stay at a luxury hotel in Boston! Make sure to keep an eye out for our next live showcase - coming soon!